Go Wild Casino has been around for more than a decade, which is a long time compared to most online casinos. The site design is nothing special but it does look reasonably fresh and up to date. There are hundreds of games on this site, including many from big-name developers. There is a different promotion for every day of the week, and a nice loyalty plan which everyone joins simply by playing on the site. 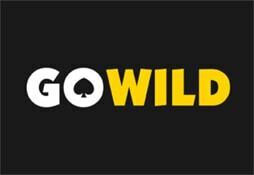 WHAT IS Go Wild Casino? Go Wild Casino is operated by the Go Wild Malta Ltd Casinos group. They run one other casino, which is called Wild Jackpots. Go Wild aims to provide a ‘premium experience’ and states that there company mantra is that ‘our customers matter’. They certainly offer a wide-ranging selection of games. The bulk of the casino is taken up with slot games but they also offer an extremely impressive live dealer casino section as well. We all love to get free stuff – that’s just human nature – and that is why you are reading this section of the article! Go Wild Casino wants to welcome you to the party by offering a bonus of up to €333 based on matching your first deposit by 100%. Your second deposit will be matched by 50% up to €200 and your third by 100% up to €500, making a potential total bonus of €1,033. There are also free spins on a selection of NetEnt slots. The playthrough requirements of 35 times deposit plus bonus are pretty steep, but this offer will still allow you to explore the site with house money. Visit the Promotions page of Go Wild and you will discover there are further bonuses for every day of the week at this generous site. 100% bonus on third deposit up to €500 plus 25 free spins. The payments section of an online casino is often the part that makes players most frustrated. Not being able to deposit successfully is a real frustration, and problems with payouts drives people up the wall. The payment options at Go Wild include Visa, Mastercard, Neteller, Skrill, Paysafecard and Zimpler. Enough for most to be able to successfully manage a deposit and withdrawal. One aspect of this casino which does aggravate players is the lengthy 48-72 hour waiting period before withdrawals are processed. For a casino that says it is all about customer care, they could surely speed up that aspect of the site. Go Wild Casino is available in English, Finnish, German, Italian, Norwegian, Spanish and French which demonstrates its global ambitions. There are dedicated phone lines for Austria, Switzerland, Germany and Norway, while everybody else can use the Malta line to their headquarters. Other contact options include live chat and email, and you can even contact their Malta offices by snail mail if that is your preferred option. There is a small FAQ section which will deal with more basic issues and questions. Go Wild Casino has been around for quite a while without ever threatening to become a big name in the gaming world. There just aren’t enough unique elements to this casino to make it stand out from the crowd. The fact that they only advertise the first part of their welcome bonus is strange, as surely it would attract more attention to boast about the full €1,033 offer rather than just €333. Perhaps this kind of marketing glitch combined with a lack of really strong brand identity has kept this site a relatively low-key presence. Go Wild Casino has a very strong selection of slot games and a large live dealer casino, even if those live games could do with a little more variety. The casino is let down by very high wagering requirements and a dull design scheme without a strong sense of individuality. This is a fairly average mid-sized casino which could do a lot more to promote itself in this hyper-competitive industry.